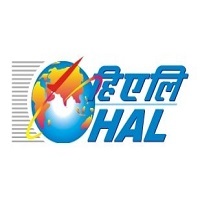 HAL Jobs Recruitment Notification 2018.Hindustan Aeronautics Limited, HAL inviting applications for the positions of Trade Apprentice.Interested and Eligible candidates can apply for the positions. Age: 14-23 years as on 01.08.2018 in case of General candidates. Upper age limit is relaxable by 5 years for SC/ST category, by 3 years for OBC (Non creamy layer) category, 10 years for PWD category as per Govt. guidelines. iv) Each semester mark sheets/consolidated mark sheet of ITI/ITC examination. v) ITI Leaving Certificate/College Leaving Certificate. xi) Recent Passport Size Photo 5 Nos. 2 .The candidates belonging to OBC must produce valid Other Backward Classes Certificate in the format for applying for admission to Central Educational Institutions under the Government of India at the time of document verificationAfter Completion of Apprenticeship Training shall not confer any right and/or preferential claim in the matter of employment in HAL. 3. Further HAL reserves the right to raise the eligibility criteria to restrict the number of candidates and also fill up the seats or alter the number of seats or even cancel the whole process of selection without assigning any reason.Suppression of any factual information or furnishing false information / forged documents will result in disqualification / legal action. a) The candidates have to register as an Apprentice in the DGET, Government of India’s portal; www.apprenticeship.gov.in /apprenticeship / apprentice registration). Candidate must select “Establishment Search” and select “HAL, Koraput” for undergoing training at HAL, Koraput. b) 10th & ITI certificates along with ‘marks lists’ (Compulsory) are must be uploaded. Registrations without uploading marks lists of 10th & ITI will be rejected. A common merit list will be prepared for each trade, based on the marks scored in the qualifying examination (70% weightage for HSC/10th marks and 30% weightage for ITI/ITC marks) and as per other rules and regulations in vogue and candidates will be selected for the Apprentice Training from the merit list.